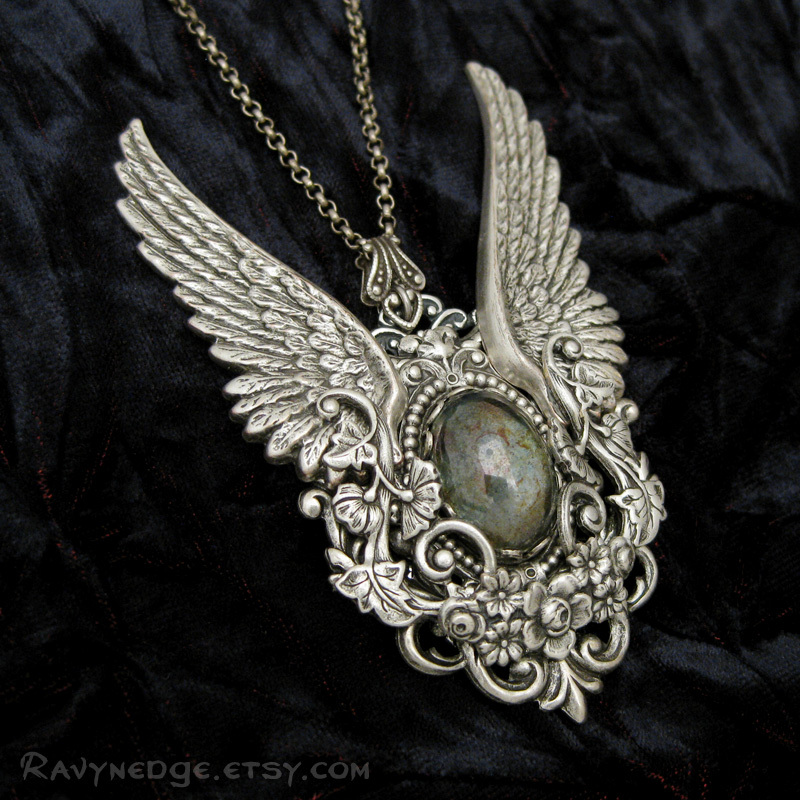 Spirit Of Gaia Necklace - Legendary Series Winged Silver Filigree Pendant by RavynEdge. 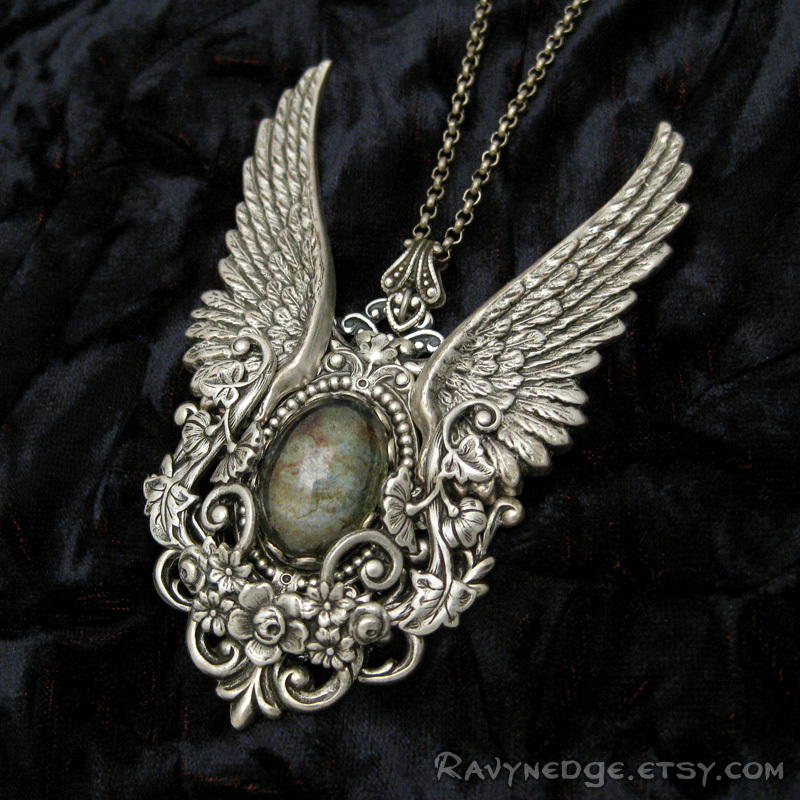 Part of my "Legendary" series of pendants, Spirit Of Gaia is grandiose in size and appearance. 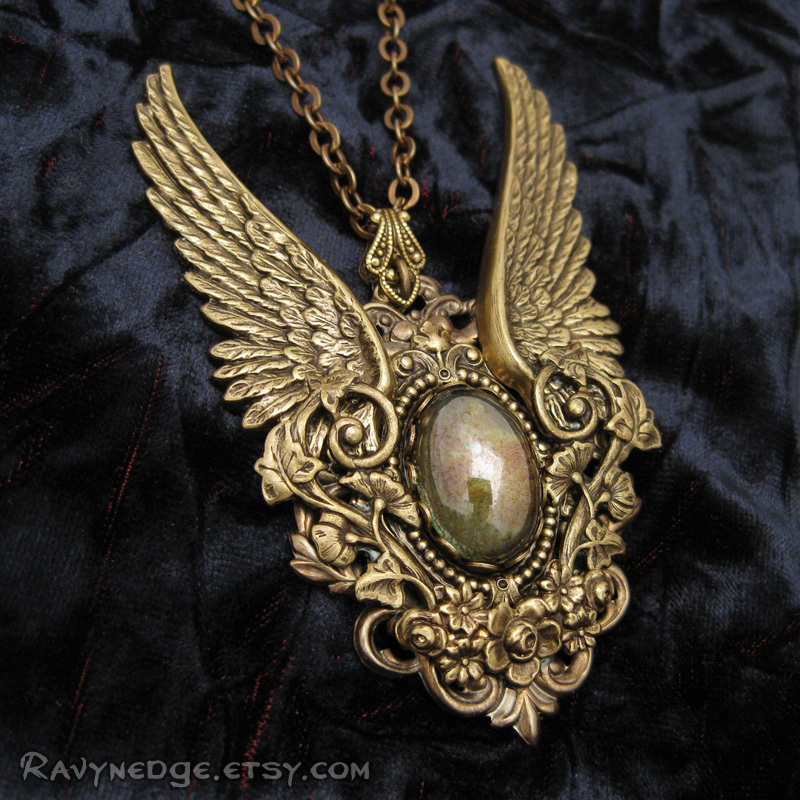 Magnificent angel wings and flourishes of filigree encase a green luster effect glass cabochon that flashes with copper tones over a soft olive green. 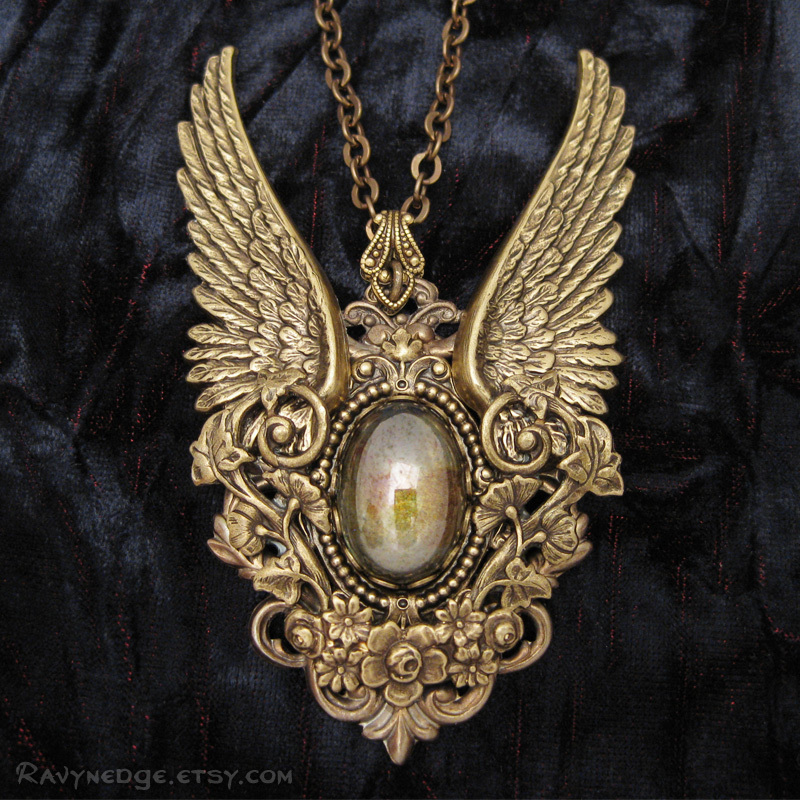 The pendant measures approximately 3.13in (79.5mm) tall and 2.07in (52.7mm) at its widest point. The chain measures 20 inches (50.8cm) and closes with a lobster clasp. 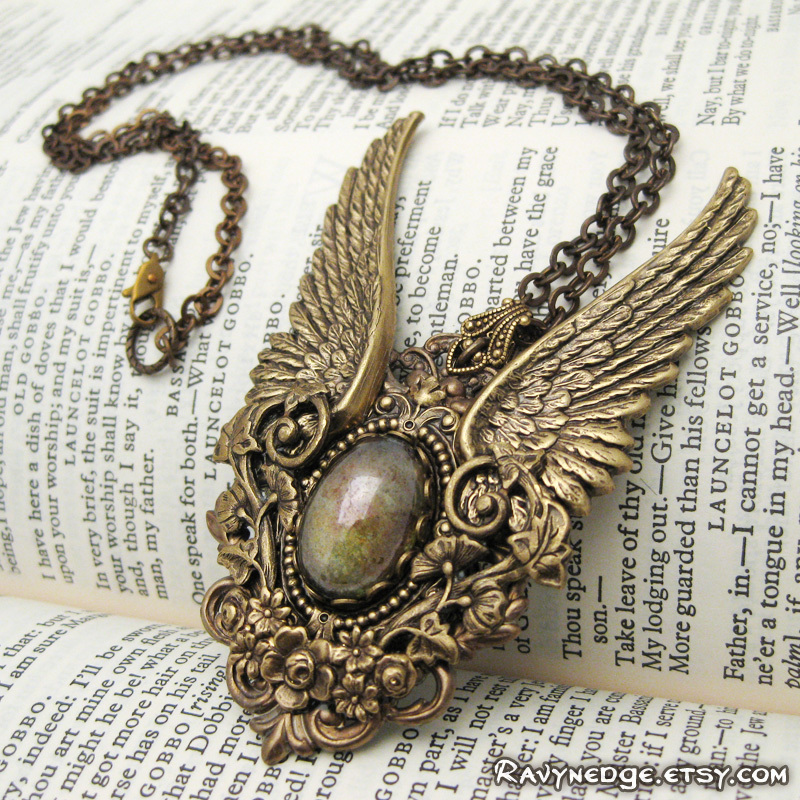 Made of brass or silver plated brass with an oxidized finish to bring out the amazing details.